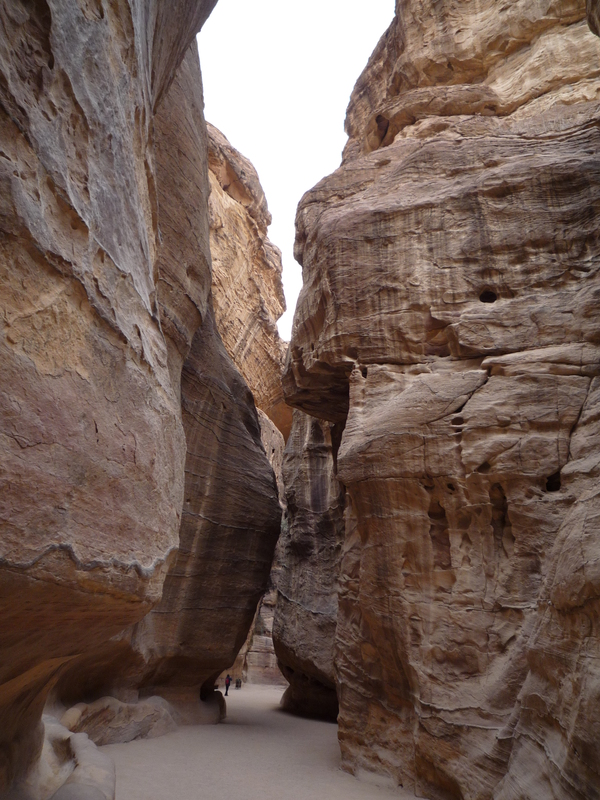 Petra is truly an incredible land tucked away in a remote valley basin in southwest Jordan within the Shara Mountains. About three hours from Amman and 50 miles from the Dead Sean, this once capital city of the Nabataean kingdom is a natural fortification with its position at the junction of trade routes, which allowed for rapid cultural and economic development. 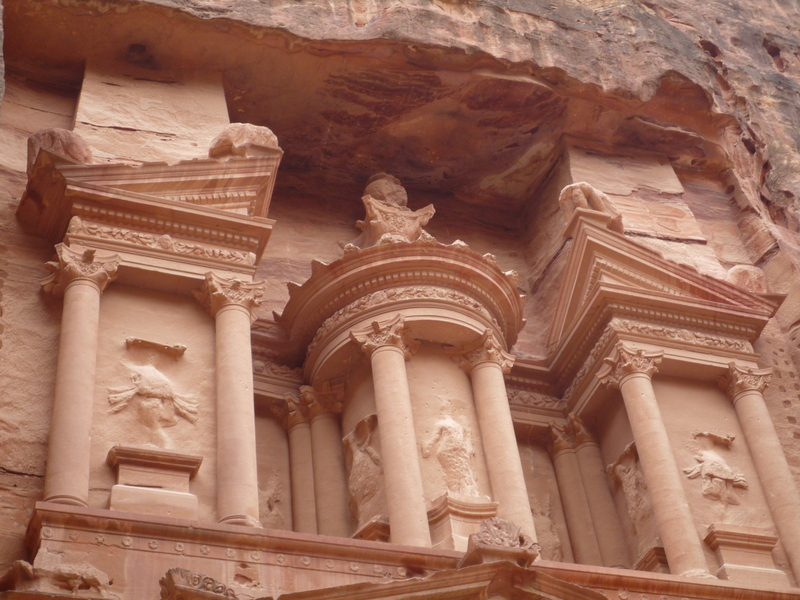 From about the first century before common era through the first century of modern times, Petra controlled most of the region’s caravan routes from Arabia and Asia toward the Mediterranean Sea.The Nabataean Arabs dominated the region and controlled the international highways of this ancient world form many years. Our entry into this distant city was during the cold month of December, and I remember dressing warmly, covering my head with a shawl as the wind whipped up while trekking the Siq. 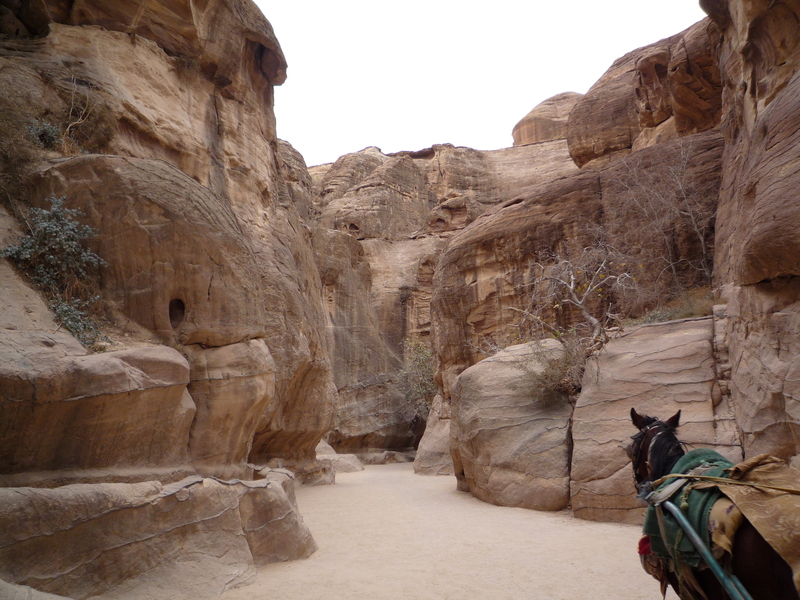 Walking on a modern gravel path, which we shared with horses, camels and donkeys lead us through a lunar landscape of soaring cliffs into the heart of the mountain. The gorge is very high and narrow with enough light to pick up the earthy tones of rich browns and beige’s of the rocks with a quaint touch of pink. 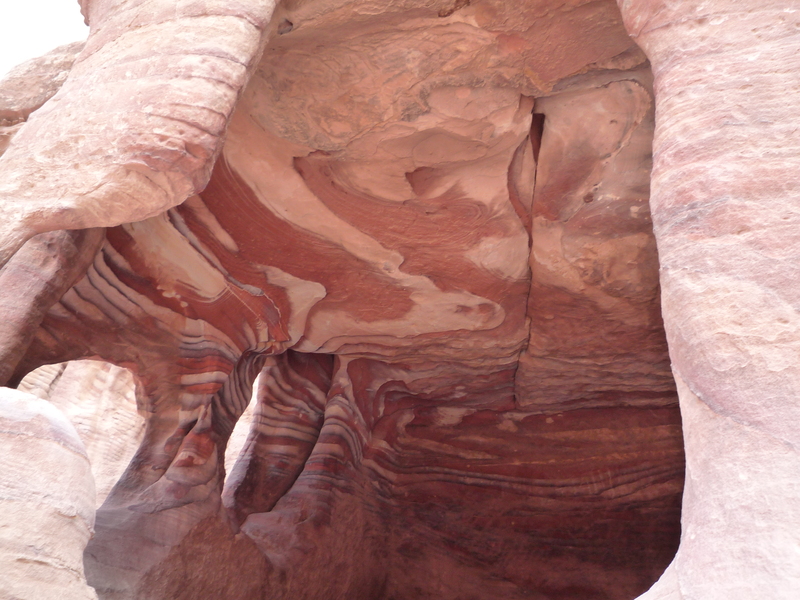 As thousands of years of wind and water have gently eroded the sandstone walls, you find as you walk a gorgeous kaleidoscope of colors are constantly revealed. The Treasury is a local name for a seemingly inexplicable monument. 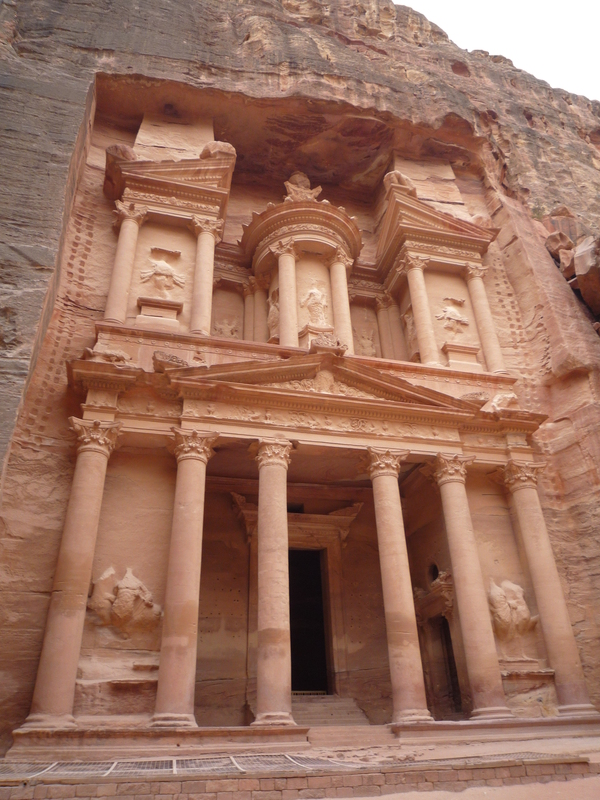 According to our guide it was not a Nabataean name and this culture may have used this most famous facade for an entirely different purpose. But, just when you think you cannot walk another step the gorge walls narrow, framing a classical architectural facade, chiseled out of the sheer rock face. To walk such a lengthy distance, and then see Jordan’s flagship monument dominating a once thought fabled ancient city is an extraordinary experience. The final component and most alluring way to experience Petra’s magic is with the guided night tour, where you walk the Siq by candlelight back to “The Treasury” for storytelling and traditional music. Hot tea was served in huge quantities as the temperature dropped drastically once the sun went down. But, watching the stars shine brightly under this ancient land, while listening to the rhythmic music, sipping hot sage and cardamom tea made the trek to this mystical country extremely inviting! 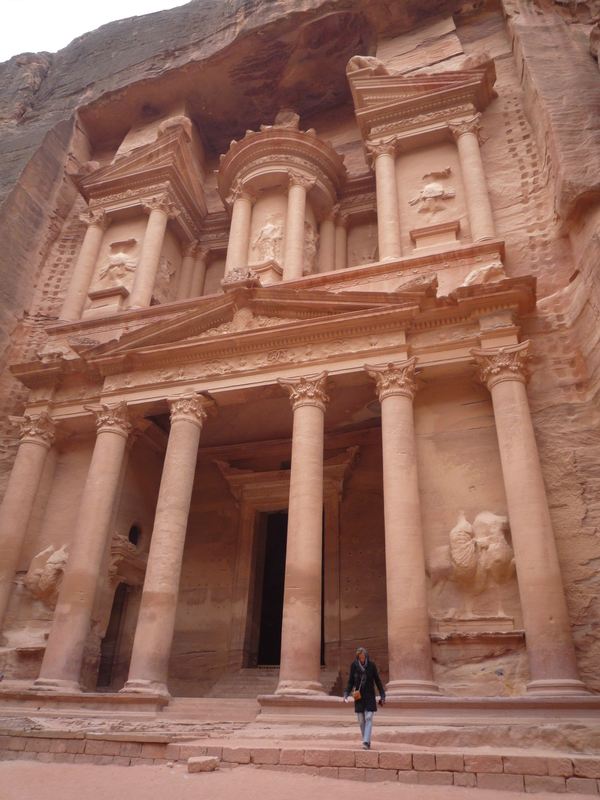 Hello Stylish Heath……..These pics of Petra are absolutely unfathomable. I cannot believe what I’m viewing. 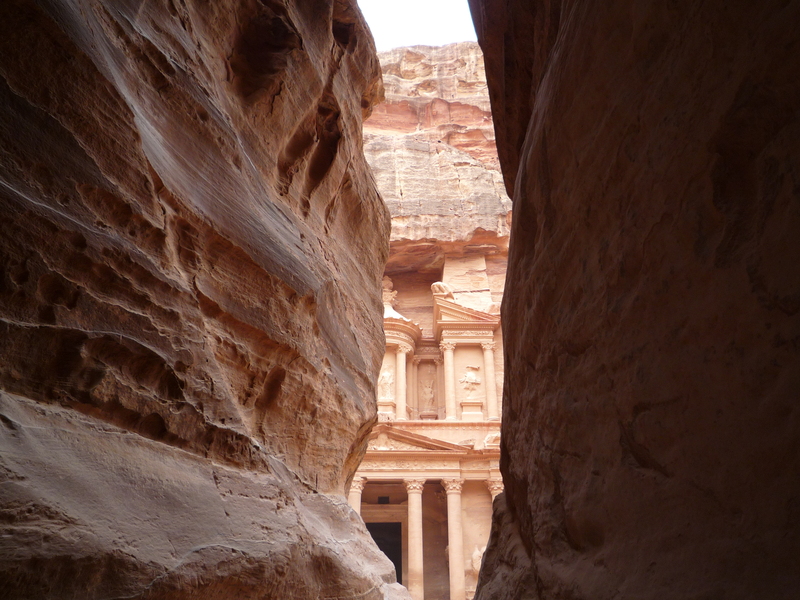 The architectural chiseled facade within the rock is a sight to behold. And here you are right there at the heart of this historical site. This is truly incredible land as you stated. Fabulous pics by you and I thoroughly enjoyed this post. Nice photography Stylish Heath…………………….. Thank you so much for such a complementary review on the Petra post. We had so much fun exploring this ancient city, and I thoroughly enjoyed reviewing my notes this write-up!! Excellent narrative and enlightening history of a long ago civilization that ostensibly shaped the course of history and trade in the region. The treasury is amazing and is a testament to the architectural skills and prowess of these people. Fabulous pictures only enrich the mystique of this powerful ancient civilization. Well done! 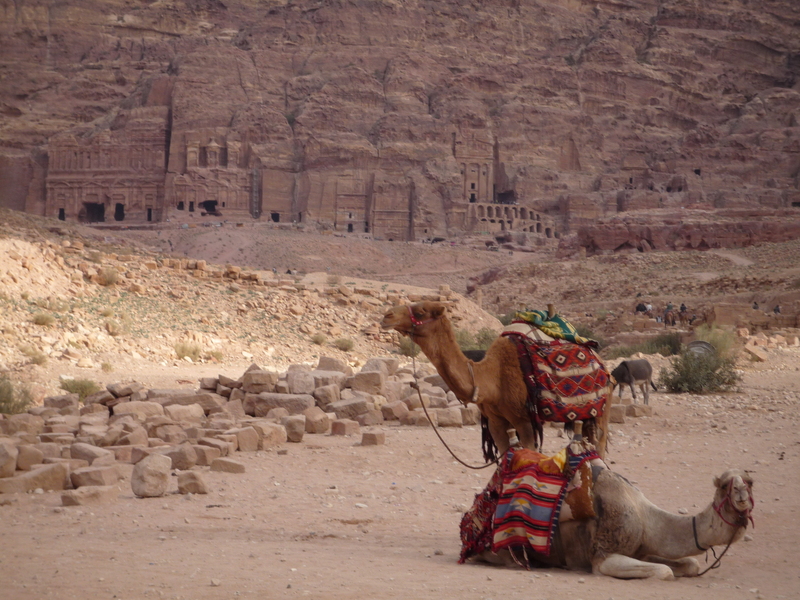 I was truly amazing to see the structures of this civilization, especially those carved into the mountains and rocks!!! Kathy, these pictures are incredibly AWESOME! What an experience! 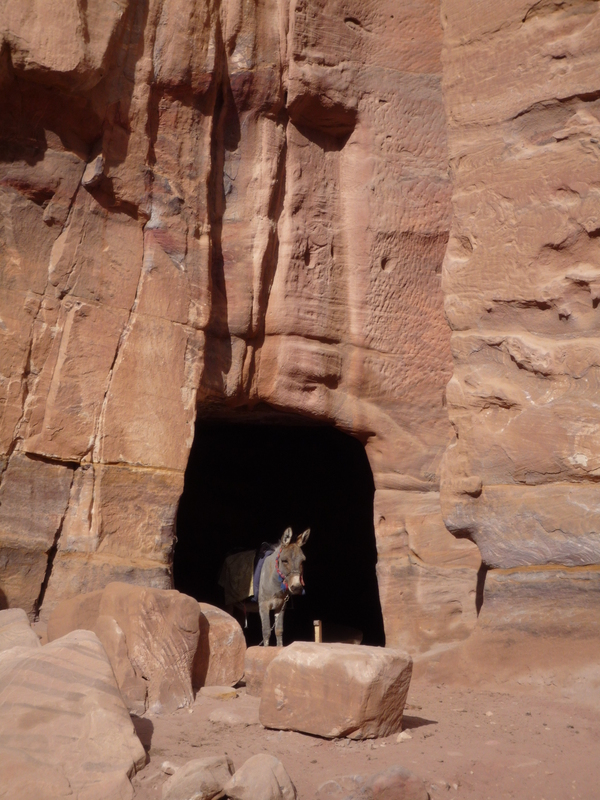 After reading your narrative and seeing these pictures, I must definitely find my way to Petra as well! We must do a road trip to the east!! Just to absorb the culture and fabulous atmosphere! !